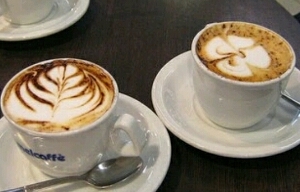 Coffee could be the best way to hangout with friends, such as school friends, co-workers and friends community. Usually they get together for a chat even plan something important, like a business strategy. They loved to gather at the coffee shop in a long time and enjoy a cup of coffee. This habit started when a coffee shop concept offers a comfortable place to hangout with friends while enjoying serving the coffee shop. And this concept successfully increased sales of the coffee shop. Until now, the concept is widely followed by other coffee shops. Hanging out with friends, hanging out with family, discussing important business can all happen with a drink called coffee. I thought it might be a large company, the inventors, advertising agency, found the idea to be great with a cup of coffee. Including me and all coffeeholic can get a great idea while drink a cup of coffee. 0 Komentar untuk "Something Great Start with a Cup of Coffee"